Sometimes you don't need an extravagant wedding pose. I love this quite moment away from the reception for a couple sunset pictures. 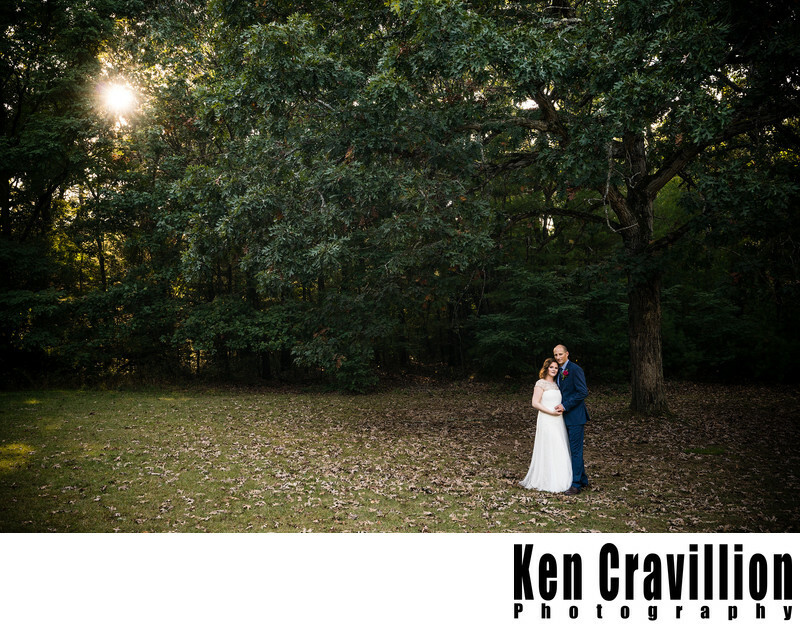 The sun peeking through the trees is a great highlight to this early Autumn evening. 1/125; f/6.3; ISO 500; 35.0 mm.